Peasant bread is the easiest bread you will ever make. There are three reasons why it is the easiest bread. First, no kneading is required. Second, this bread takes only three hours to make. So say you start making it at 3pm, it will be ready to serve your family or guests at 6pm. 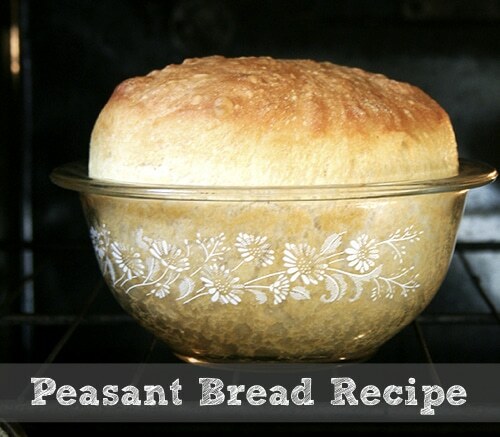 Third, this peasant bread bakes to perfection in a well-buttered pyrex bowl that require no pre-heating. And how does this bread taste? It’s outstanding.